Bronze Medal: Independent English Wine Awards 2018. Buds were early after a warm winter but a spell of frosty nights in Apr slowed things up to a week behind normal. We had a few frosted shoots in the lower Madeleine block but only a slight loss of yield overall. The Kernling vines were unaffected. Early summer was showery but a hot spell in July finished off the fruit-set nicely. Ripening continued a little late but then a wonderful dry, warm autumn ripened the fruit fast and well and the Madeleine Angevine grapes were harvested in the last week of September, as normal. Quality was fantastic – no disease, a few bunches damaged by wasps but no general wasp attack. A very few bird losses at very top by the hedge. The fine autumn weather continued and the September warmth brought the Kernling ripening curve up to 2009 and 2010 levels (though the crop was smaller, which also contributed to the quick ripening). We brought the harvest date forward from the originally-forecast 30 Oct to 23rd. Harvest: Madeleine: 25th September 2016 in dry, sunny, warm weather. Kernling 23rd October, with a misty start followed by cool, breezy sun. Both varieties in exceptional, clean, ripe condition. Vinification: Winemaker: Steve Brooksbank, Bagborough Lane, Shepton Mallet, Somerset BA4 6SX. Madeleine crushing/pressing 26 Sept. Free-run juice: sugar 73 Oechsle, acid 8.5 g/l acid. Kernling crushing/pressing 24th Oct, free run juice 83 Oe, acid 12 g/i. Wines vinified separately in stainless steel tanks. 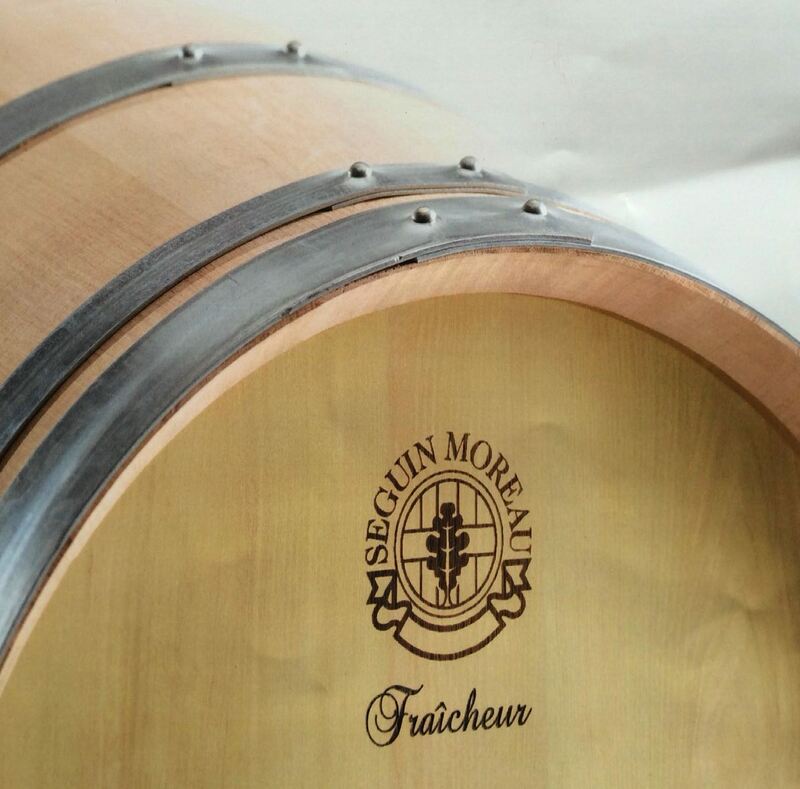 The new Seguin Moreau oak/acacia Fraicheur barrique was filled with Madeleine Angevine, still cloudy, in Dec 2016 when we brought it back from France and left for 3 months on the lees then blended back with Kernling and unoaked Madeleine to make a 85% Madeleine 15% Kernling mix. Bottled Mar 2017: clear, 400g 75cl Bordeaux bottles sealed with best quality cork. Label FSC certified Tintoretto paper. 373 bottles made.